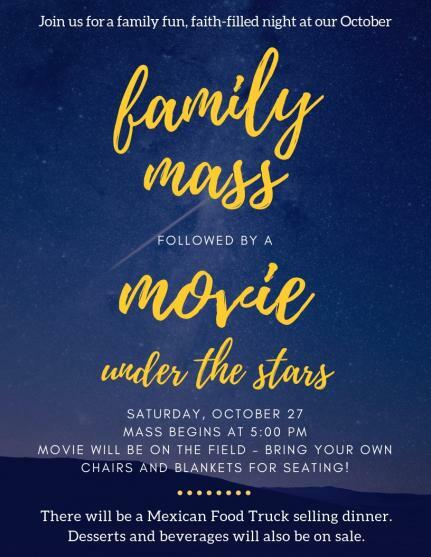 Saturday, October 27th // Family Mass at 5:00 PM followed by dinner and movie on the field. Bring your own chairs and blankets for seating! Monday, October 29th // Free Dress for students who attended Mass in Formal Uniform. Tuesday, October 30th // NO Eucharist. Wednesday, October 31st // NO Late Start and NO Band. The Halloween Parade begins at 8:15 AM and there is 12:00 PM Dismissal. Please view the Halloween event information below for more details! Thursday, November 1st // 9:15 AM Late Start. All Saints Day Mass at 10:30 AM (Formal Uniform is required). Everyone is invited to attend Mass and there will be a collection. Friday, November 2nd // NO SCHOOL (Teacher Inservice Day). Saturday, November 3rd // SAM Auction Dinner at 5:30 PM at Los Coyotes Country Club. FACTS accounts will be charged if RSVP’s or donations for the Auction Dinner are not turned in by tomorrow, October 26th. Next Wednesday, October 31st, our school will be celebrating Halloween! We have a great day planned and we encourage parents to come be involved in the festivities. Candy donations are greatly appreciated. Please email Mrs. Halliday (gro.a1555720178erbal1555720178egnat1555720178s@yad1555720178illah1555720178v1555720178) if you have any questions. Looking forward to a Spooktacular Halloween! It’s that time of the year again: time to schedule your Parent-Student-Teacher Conference! All conferences will be booked via Sycamore, which will open tomorrow (10-26-2018) at 12:00 PM. Please remember that we have noon dismissal Tuesday through Friday, November 13 – 16, the week of conferences. To book your conference, log into Sycamore. Click on the “My School” toolbar on the left side of the page. When the drop down menu appears, click “P/T Conference”. Pull down your student’s name and pick a 2018 date. Green boxes indicate that time is available, pick one and confirm. Please do not forget to book an appointment for each of your children. If you need assistance booking your conference, please do not hesitate to contact the office. Our next Family Mass is this Saturday, October 27th at 5:00 PM. Kindergarten and 6th grade are hosting and are encouraged to sign up HERE. 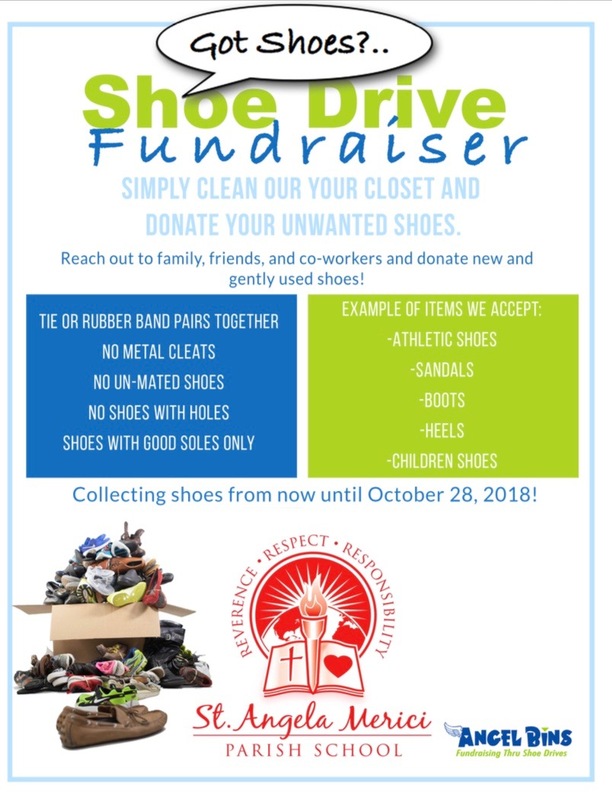 All students who attend in formal uniform may wear free dress on Monday, October 29th (please see the School Handbook for free dress guidelines). We will also have dinner and a movie on the field after Mass! Please join us for a faith-filled, community bonding evening. The next Used Uniform Sale will be Friday, November 9th. The Cougar Store has items in stock that are available for immediate delivery! The Cougar Store has red/grey Spirit T-shirts and Cougar Hoodies in stock in all youth sizes and some adult sizes. T-shirts are $13 and Hoodies are $25. If you are interested in purchasing an item, please contact Noe Soto at (562) 822-1704. Email all information to gro.a1555720178erbal1555720178egnat1555720178s@nay1555720178rj1555720178" >gro.a1555720178erbal1555720178egnat1555720178s@nay1555720178rj1555720178 (cc: gro.a1555720178erbal1555720178egnat1555720178s@aip1555720178atj1555720178" >gro.a1555720178erbal1555720178egnat1555720178s@aip1555720178atj1555720178) by Wednesday afternoon.